Live in London finds a nearly 80-year old woman at the peak of her solo career. In a world where the term ‘legend’ is banded around far too often, but if it were to apply to anyone it would be Mavis Staples. As lead singer of The Staple Singers, Mavis helped define the soundtrack to the civil rights movement in the sixties (the group were a favourite of Martin Luther King). In the seventies, when the group signed with Stax Records, they become soul hitmakers, crafting such classics as ‘I’ll Take You There’ and ‘Respect Yourself’. She’s worked with some of the best musicians and songwriters around, from Steve Cropper to Curtis Mayfield to Prince. Even if the last decade of her career hadn’t have happened, she’d still be a legend. But, luckily for us, the last decade has seen Mavis have some of the best work in her career. Working with younger writers and producers, from Jeff Tweedy to M. Ward, Mavis is winning Grammy Awards, she’s performing hundreds of dates each year in Europe and America, she’s making festival appearances and is the collaborator of choice for many younger artists, most recently appearing on Hozier’s new album. Yet Mavis is still doing what she’s always done: singing about hope, optimism and freedom. Mavis Staples, Live in London. Mavis recorded her first live album with her family, The Staple Singers, back in 1965. The album, Freedom Highway, was an essential part of the civil rights songbook. Her second live album, Hope At The Hideout, was released the day Barack Obama was elected president in 2008. 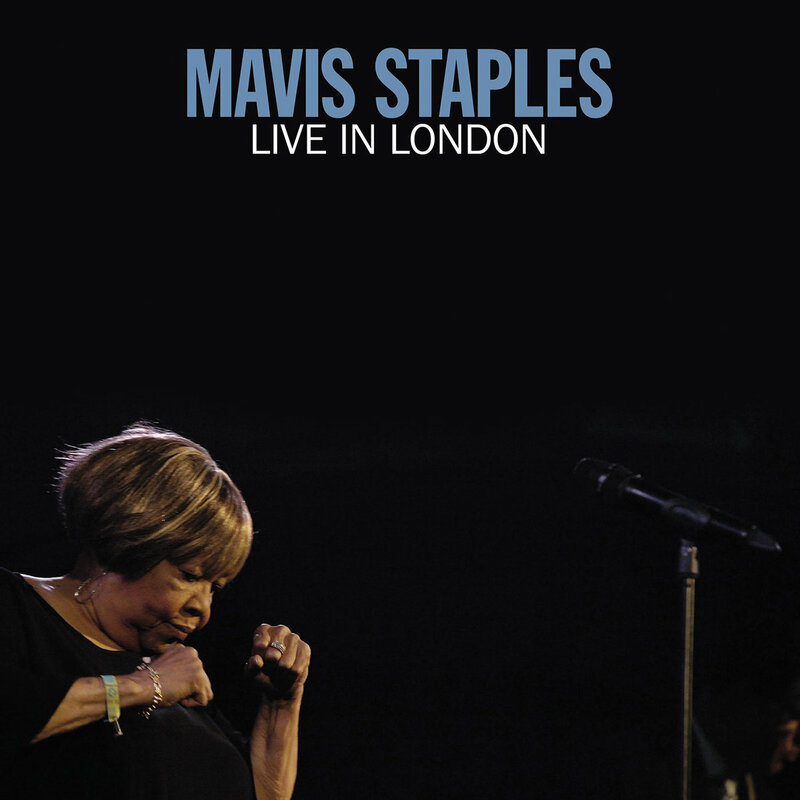 Recorded over two swelteringly hot nights last summer (I attended the first night, and nearly melted), Live in London follows Mavis’ excellent If All I Was Was Black album in 2017. That album was largely a rebuke to the presidency of Donald Trump and his supporters (along with the wall). Yet, Live in London largely stays away from the political, even if it is slightly darker than Hope At The Hideout. 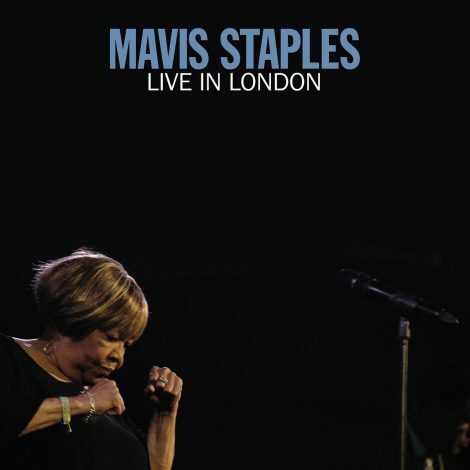 Live in London is about Mavis Staples as the solo star, not as the lead singer of The Staple Singers. The album is mostly made up of songs from Mavis’ solo career in the past decade, with a couple of older tracks thrown in for good measure. Perhaps surprisingly, two of her biggest hits, ‘Respect Yourself’ and ‘I’ll Take You There’, are not included – and weren’t included in the set I saw last year. Backed her outstanding band – featuring drummer Stephen Hodges, bassist Jeff Turmes and guitarist Rick Holmstrom, who seems to share a unique bond with Mavis on stage – Mavis soars and roars with her trademark, gravelly voice. It’s rare that a voice this powerful ages so beautifully. Opening with the tender ‘Love and Trust’, Mavis sounds superb. Her voice may be even lower than it once was, but it’s warmth remains. She ups the power on ‘Who Told You That’, even more so on ‘Slippery People’, a cover of Talking Heads (The Staples originally recorded the song in 1984, and gave them a minor club hit). In fact, it’s one of the highlights of the album – Mavis’s voice is mesmerizing, while Holmstrom’s impressive guitar weaves around Mavis’s vocal. ‘What You Gonna Do’ really takes things to Church (even more so for those of us listening who had the pleasure of being in the Chapel), while the groove on ‘Take Us Back’ is infectious, as Mavis sings the quasi-autobiographical lyrics. ‘You Are Not Alone’ and ‘Dedicated’ are perhaps the album’s best tracks. On both, the audience is eerily quiet, seemingly enthralled in their pews by the sheer beauty of Mavis’s voice. Again, Mavis’s message of hope is at the heart of these songs, and her delivery is the closest thing to perfection a singer could achieve. As an interpreter of songs, Mavis is surely one of the best. Yet, Live in London is also a call-to-action. ‘No Time For Cryin’’ is a storming number, with Holmstrom’s guitar loud in the mix. Combined with Mavis’ yells and hollers, the song reminds us that “it’s no time for tears/we got work to do”. It’s a song for the political and social battles of today. Mavis also finds time to cover Funkadelic’s ‘Can You Get To That’, with an arrangement that turns the song into more secular gospel. If you’re perhaps looking for a bit of light relief, Mavis does find time to perform one Staples Singers song, the Curtis Mayfield-penned ‘Let’s Do It Again’. Recorded in 1975, ‘Pops’ Staples was reportedly unsure of the song, as it was a sultry ballad, something he thought inappropriate for The Staple Singers. Yet, his daughters persuaded him to sing it, and it became the last major hit for the group. On Live in London, Mavis adds an edge the original lacked, and Donny Gerrard, one of Mavis’ backing singers, handles Pops’ part superbly. Taken in the context of If All I Was Was Black, Live in London provides reassurement to listeners caught up in these dark days. She allows us to escape, providing us with her unique blend of secular gospel and her message of hope. Sure, we might have Trump and Brexit, but they’ll pass eventually (well, maybe). Whatever happens, there’s a recording from Mavis for it. As for Mavis, she’s clearly living her best life, releasing some of the best records of her career in the past decade. Seven decades later, Mavis’s voice is still as powerful and as captivating and powerful as it ever was. With all due respect to the Queen of Soul, Mavis’ voice has stood the test of time far better than Aretha’s did. Live in London captures a true legend at the peak of her later solo career. Her siblings and her father may have passed on, but Mavis is still singing songs with the same message all these decades later. Is Mavis Staples the greatest singer alive? I’ve often thought she might be.